Welche Armee für welche Sicherheitspolitik? ST. FRANCOIS COUNTY, MO. -- Mason Rudder peppered bullets from a fully automatic M4 rifle into a car, charged through a field while firing an AR-15, and helped build and set off a wall bomb that blew the door off a building. Though Mason is no war hero, he got to feel like one Sunday. He is 6 years old and dreams of joining the Navy SEALs. 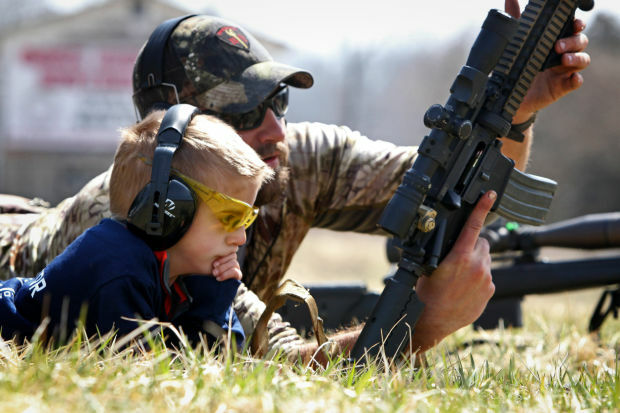 Mason’s parents, George and Suzanne Rudder, former St. Louis County residents who now live near Kansas City, surprised Mason for his birthday by driving across the state to a tactical training center near Farmington, Mo., to shoot and train with a former member of the Navy SEALs. Mason was born with a genetic disorder (Escobar syndrome) that causes limited movement and a decreased range of motion, his parents say. Mason is about 3½ feet tall and weighs just 32 pounds. Mason’s sister, Haley, 7, also has the disorder; their brother, Collin, 9, does not. Mason’s fascination with the SEALs was fueled in part by the fact that his uncle was a SEAL and his grandfather was in the Air Force. He often plays military games around the house, his father said. “He’s all boy,” said George Rudder, 36. On Sunday, Mason trained with ex-Navy SEAL Jared Ogden, operations manager at Asymmetric Solutions, a company that provides tactical and firearms training on 1,800 acres near Farmington. Mason’s father contacted the training facility on Facebook to ask if Mason could visit, and the company agreed to host a “Navy SEAL for a Day” event just for him. 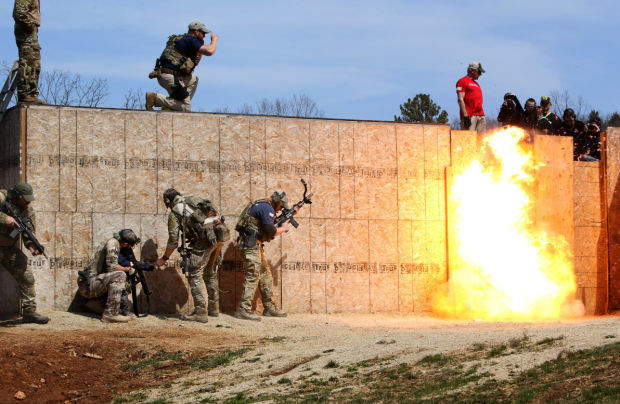 Asymmetric Solutions, 431 Thomas Road, opened to the public last May but has for years offered training to military service members and police. The company has nine full-time instructors and about 20 part-time employees; it also offers wilderness and medical training. Ogden, 33, was featured last year on the National Geographic channel’s reality show, Ultimate Survival Alaska. 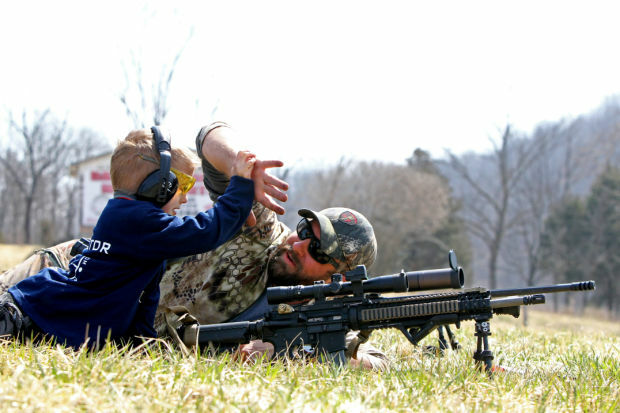 On Sunday, Ogden helped Mason maneuver several high-powered rifles and handguns. Mason’s final “mission” was to raid the hideout of a Taliban leader. Mason helped his team enter the lair by detonating a real bomb similar to ones used in the 2011 mission to capture Osama bin Laden at his compound in Pakistan. In Sunday’s training session, “Team Mason” cleared three rooms and killed the Taliban leader, which in reality, was a half mannequin in a green sweatshirt, propped up on a couch. An American flag hung on the wall behind the mannequin. After shooting the mannequin, Ogden escorted Mason along the wall of a room, and the team declared the mission accomplished. “Last room!” the boy said. Mason said his favorite part of the training day was detonating the bomb. Ogden said he hopes Mason remembers his day as a SEAL for the rest of his life. 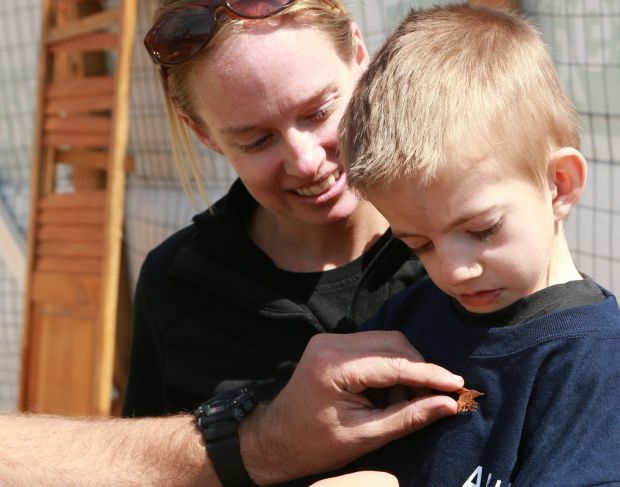 At the end of Mason’s training, Ogden pinned a Navy Seal trident on the boy’s sweatshirt. Erstaunlich guter Bericht der Bundeswehr über die Operation "Neptune's Spear"
Bei einer Suche auf einschlägigen Plattformen, wie z. B. Rottenplaces.de, sollte man fündig werden. Wie legal das ist kommt im Einzelfall eben drauf an: Privatgelände, Haus/Landfriedensbruch, Unfallgefahr, Sachbeschädigung, etc. Wo kein Kläger da kein Richter, was aber nicht bedeuten soll das es damit legaler wird. Ist oftmals eben irgendwie eine Grauzone.